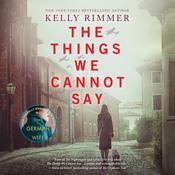 If you enjoyed Me Before You by JoJo Moyes, One Day by David Nicholls, or The Notebook by Nicholas Sparks, then make time for Kelly Rimmer's stunning, heartbreaking new audiobook, Me Without You. A story of how love can break our hearts - and heal them. A year ago I met the love of my life. For two people who didn't believe in love at first sight, we came pretty close. Lilah MacDonald - beautiful, opinionated, stubborn and all kinds of wonderful in ways that words could never quite capture. The woman who taught me to live again. My Lilah, who gave me so much and yet kept from me a secret that she knew would break my heart. 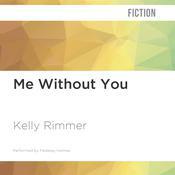 Me Without You is an audiobook to make you smile, bring you to tears and remind you to hold on tightly to those you love. 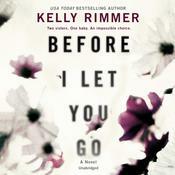 Kelly Rimmer is a USA Today bestselling author of five novels, including Me without You and The Secret Daughter. She lives in rural Australia with her husband, two children, and fantastically naughty dogs Sully and Basil. Her novels have been translated into more than twenty languages.